Sail the Whitsundays on board a catamaran for the ultimate Whitsundays experience! Catamarans in the Whitsundays offer a stable, comfortable ride, with both power and sailing catamarans on offer, from which you can explore the Whitsundays and Great Barrier Reef Marine Park. Trips range from 2 days to 3 days, making stops at Whitehaven Beach and Hill Inlet Lookout as well as several snorkel stops. Choose from different cabins types and different add-ons such as water toys, spas and more! Powerplay will take you on the ride of your life through the beautiful Whitsunday Islands for fun, relaxation and adventure! Great for the young and young at heart to have the adventure of a lifetime! Enjoy all the extra perks of paddleboards, a heated jacuzzi, delicious food, kayaks and more. Whitsunday Adventurer offers the ultimate adventure with sailing, snorkelling, kayaking, paddleboards and more! Sail, snorkel, kayak, use the stand-up paddleboards or go for a bush walk - there is something for everyone! For small group sailing with a fun itinerary, hop on board Entice! Sail around one of the most beautiful parts of Australia and see all the sights! Sail and play in paradise on On Ice's popular adventure tour! 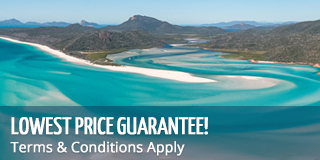 The perfect way to experience a sailing holiday in the Whitsunday Islands! Join the trip of a lifetime with with Ride to Paradise! Ride to Paradise is the ultimate way to experience in the Whitsundays! Unique tour for those who want to see and do it all - a tour that has the best of both worlds! Cruise the Whitsundays on board Whitsunday Getaway for a romantic and unforgettable experience - the ultimate getaway! This budget social trip has an amazing reputation for being fun, full of adventure and excitement! Tongarra is an incredibly fun and entertaining 18-35s catamaran, boasting plenty of deck space to relax and socialise while you explore the Whitsundays! Tongarra is an extremely popular boat among the backpacker community, and has a stellar reputation for exceeding passengers expectations. Swim, snorkel and sleep under the stars!